This week we will be introducing the Doubles Facts in our Kindergarten room at our local homeschool group. As I was preparing for the lesson, I looked all around the web for more ideas. 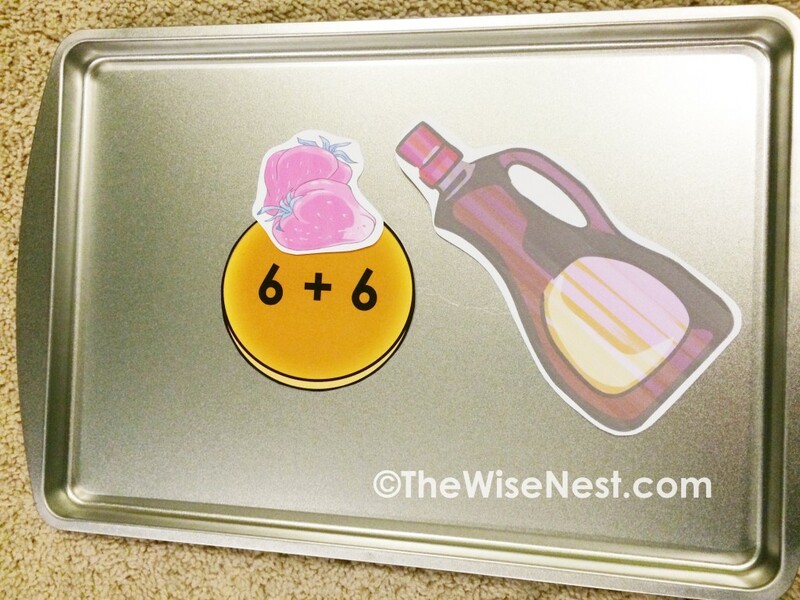 I ran into this wonderful idea by Jenae over at I Can Teach My Child. 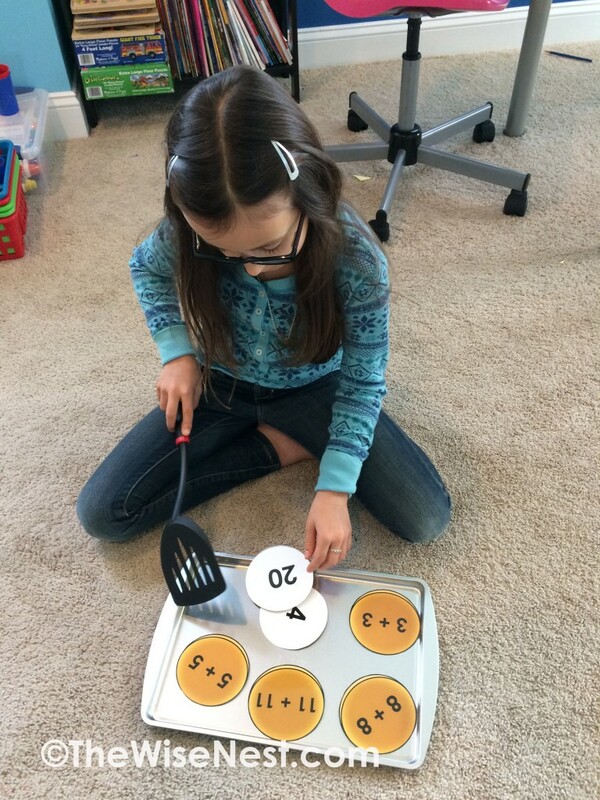 She cut out circles to represent pancakes and had her child flip the pancakes as they practiced their facts. Now, since I enjoy creating files on my computer and doing the graphic design/layout, I went ahead and made the pancake shapes and labeled them. My children wanted to play it too, even though they are well past this level. Who doesn’t like to play a pancake game? 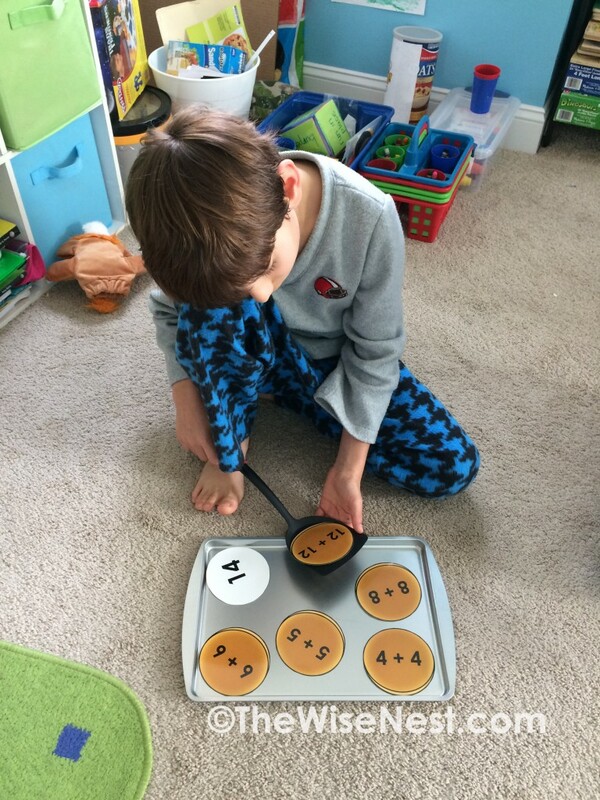 Lay out the pancakes on a flat surface (floor, table, cookie sheet, pan, etc.). Ask your child to read the fact written on the pancake. He/she needs to give the answer before flipping the pancake. 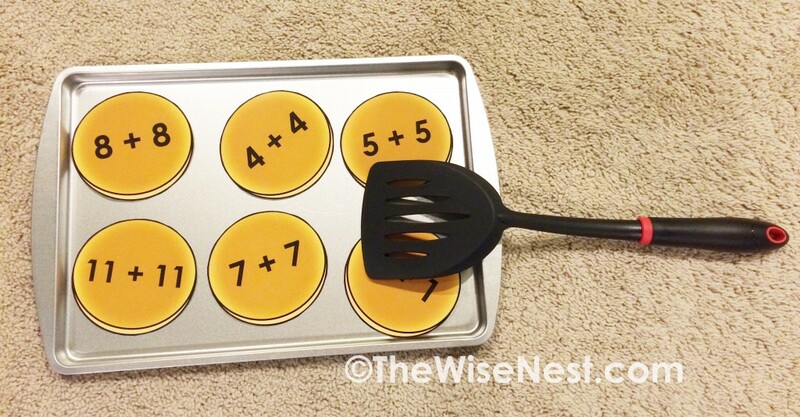 Once the answer has been said, your child can flip the pancake and check if their answer is correct or not. Once the child has gone through all the facts, I give them “strawberries” and “syrup” to put on their pancakes. 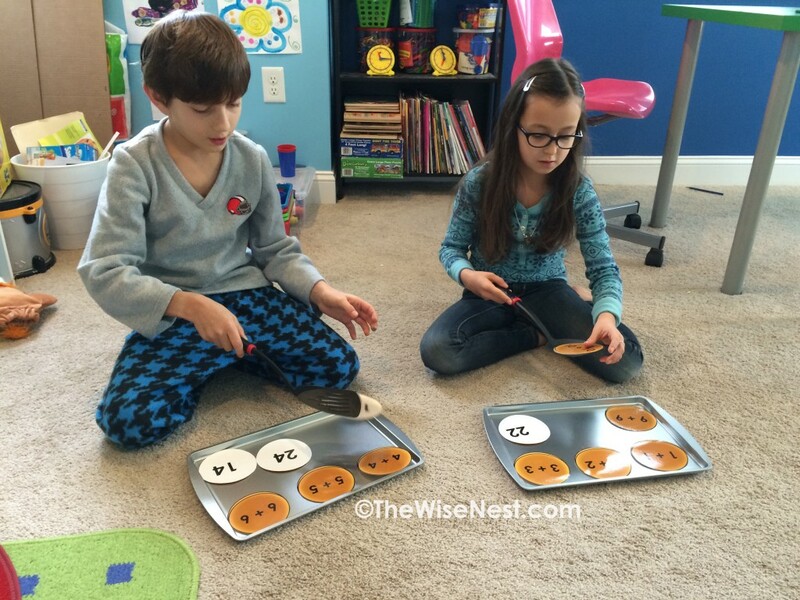 I hope you can use the pancake game and have some fun with your child as he/she memorizes the double facts.